We are moving to the dark side now. Here in the north that means less sun and more snow - Winter. In Florida it means you can go outside and not be too hot. I got a little hint at the beginning of the week that brown was our colour this month. I did not think I had much brown, but I found lots to work with. 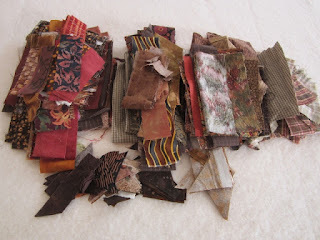 Some are plaids, some or little bits off of bindings. Some are Orange Brown and some are Green Brown. I was busy working on finishing last weeks pumpkins and I did not sew any brown yet. 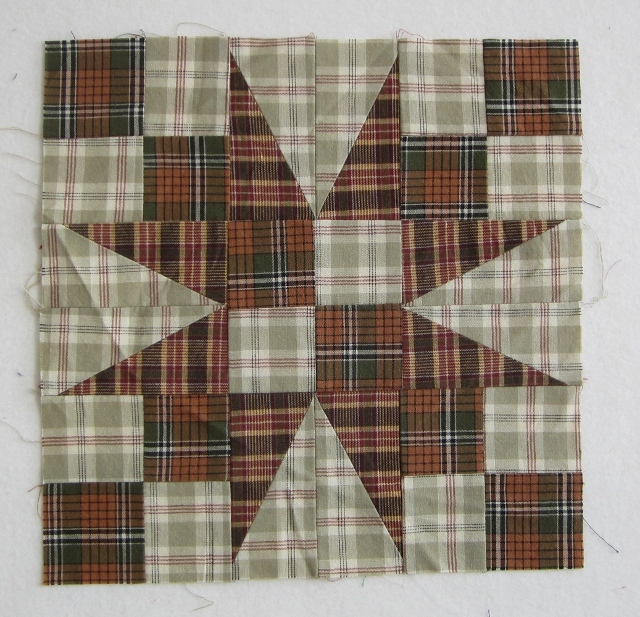 I found this block in my brown scraps. I think is was a block I made for a class demo some 15 years ago. Before Children. This Block, I made last November when I joined up The Rainbow Scrap Challenge 2012. It was the start of lots of Rainbow creations. 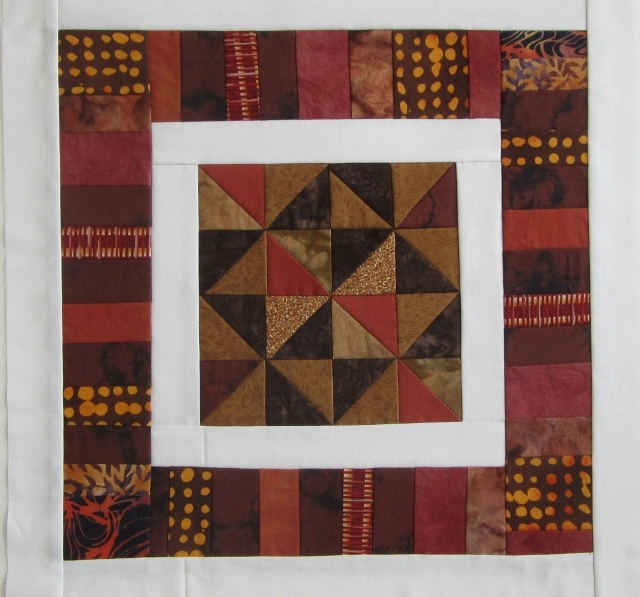 I will do a second brown block for this quilt. I will have to link up late on Saturday with Soscrappy, I am out the door early today. Mr Lex and I are going to an Agility Trial again today. I am to wear crazy pants but I do not have any. Late day Edit. Lex and I passed two of four classes today in Agility. Very pleased with my boy. One of our classes was a steeplechase that is a Master type class. It was the first time we passed that type of class. Lex and I are resting now. Love your little brown pinwheels. And the border? Ahhhhh. . . it's great! Can't wait to see more of these. I thought this was a mini quilt... but it is a block? Wow! Glad you passed your classes. The browns in your block are beautiful I am liking brown more and more. Very pretty blocks. Congrats on your agility testing! Congrats on the testing. Love your stack of browns and that block from last year is awesome.